The Stair Gardens Project, a sustainable food source venture founded by Arizona State University engineering student Ngoni Mugwisi, competed and won against 191 other ventures at the 2015 Social Venture Challenge, held in conjunction with the Clinton Global Initiative University (CGI U) conference March 6-8. “The process was rigorous, and each step pushed me to think clearly and in specific terms about my venture,” said Mugwisi, whose team-developed Stair Gardens Project helps people in rural Zimbabwe sustainably grow vegetables despite limited access to water and fertile soil. With the aim of addressing poverty alleviation, the venture incorporates the idea of using multiple levels of vegetable beds arranged vertically to save land space and increase vegetable output per area. The initiative also involves an education and outreach component. The Social Venture Challenge is designed to inspire students to propose an impactful and socially-conscious project that addresses social issues in today’s world, and is restricted to students who were selected to attend the CGI U conference. After passing the rigorous process of selection to CGI U, students interested in competing in the Social Venture Challenge completed an intensive, three-step submission process. In weeks prior to the CGI U conference, semi-finalists were notified of their advancement in the competition and invited to showcase their proposals to CGI U in front of attendees and a panel of judges. The top teams from the showcase were subjected to a final series of question and answer sessions from judges. 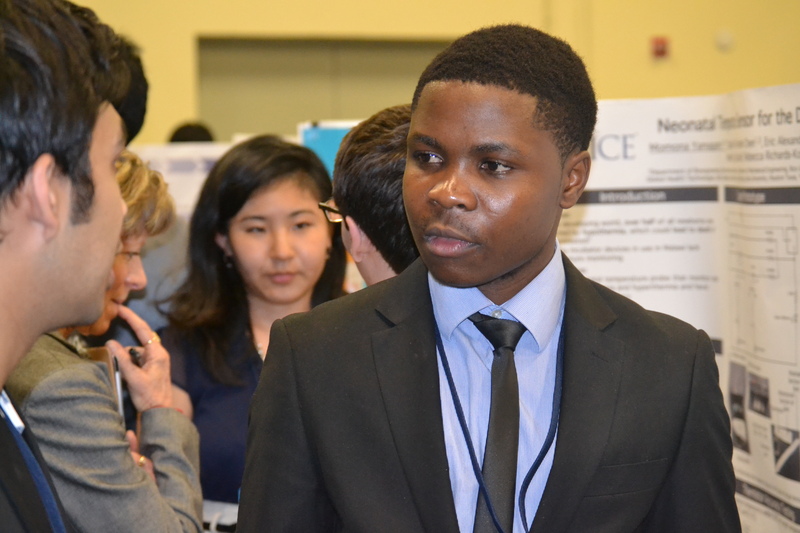 “It was a great and challenging experience, as it required that I provide every detail about my venture in a precise and well-thought-out manner,” said Mugwisi, who attributes a large part of his venture’s success to the brainpower and efforts of the project’s extended team members in ASU’s Engineering Projects in Community Service (EPICS). The annual CGI U conference is a highly anticipated event that convenes over 1,000 students from over 300 colleges and 80 countries. To attend, students must pass a competitive selection process by submitting compelling solutions, called Commitments to Action, to today’s problems in one of five focus areas: education; environment and climate change; peace and human rights; poverty alleviation; and public health. Students must also explain how their Commitments to Action are new, specific and measureable. Arizona State University computer scientist Carole-Jean Wu is gaining attention for her work to improve the energy efficiency of both large- and small-scale computing nodes. Arizona State University computer scientist Carole-Jean Wu is gaining attention for her work to improve the energy efficiency of both large- and small-scale computing nodes – encompassing everything from desktop processors, smartphones and other mobile devices to business-scale data centers. The award gave her the opportunity to present her line of research on energy harvesting at the 21st IEEE Symposium on High Performance Computer Architecture in San Francisco in February. Wu is an assistant professor of computer science and engineering in the School of Computing, Informatics, and Decision Systems Engineering, one of ASU’s Ira A. Fulton Schools of Engineering. She also holds an affiliated faculty appointment in the School of Electrical, Computer and Energy Engineering. 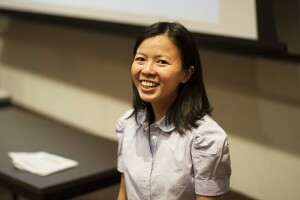 Her research focuses on designs for chip-multiprocessors and heterogeneous computing systems, energy-efficient smartphone architecture and architectural energy harvesting techniques for modern computing nodes. Her prize-winning CAL paper focuses on a cutting-edge method for removing heat in a computer’s central processing unit (CPU). In a typical computer system, a large amount of heat is generated as the processor performs computations. But even with the use of fan-based cooling mechanisms, chip temperature at the transistor junction in computer systems can easily exceed 100 degrees Celsius (212 F), which is high enough to harm computer circuitry. To control the temperature of the processor in the presence of chip-wide, fan-based cooling, current technology activates a built-in system called the “dynamic thermal management unit” to throttle down the processor operating frequency so that the rate of heat generation is slowed. But when the unit kicks in, a computer’s performance suffers because computation is slowed down to prevent overheating. Rather than allowing this superfluous heat to reduce performance speed, Wu decided to harvest it with a thermoelectric generator – a device that converts heat to electricity using a phenomenon called the Seebeck effect. “A temperature difference in the thermoelectric module creates an electric voltage differential, thereby generating electricity,” she explained. She proposed in her research paper that by placing the thermoelectric module between the processor and heat sink in the computer, as much as 1 watt of power could be harvested with commercially available thermoelectric generators. The question concerning this method is whether that is the most efficient placement of the module. “This is where computer architecture comes in,” Wu said. Because the module will introduce a non-negligible thermal resistance in the computer's central processing unit, it is not advisable to place thermoelectric generators in any chip locations without care, she said. Chips in locations operating at above 75 degrees Celsius (167 F) will likely rise to more than 100 degrees Celsius in the presence of the thermoelectric modules. Wu’s work concluded that the most optimal location for the thermoelectric generator is a place in the processor where the operating temperature is 60 degree Celsius or below, which is typically the cache memory modules of a processor. In another of her research papers – “Hot Spot Cooling and Harvesting CPU Waste Heat using Thermoelectric Modules” in Proceedings of the International Mechanical Engineering Congress and Exposition Conference – Wu reported on her investigations to find the best possible arrangement of the thermoelectric modules over computer processors. She collaborated on the project – and the research paper – with ASU mechanical engineering professor Patrick Phelan and engineering doctoral student Soochan Lee. Thermoelectric coolers work the same way as a thermoelectric generator, except in reverse: When experiencing a voltage differential, the cooler will create a temperature differential (called the Peltier effect) in the processor, and thereby lower the temperature of the CPU. The team is now working on a prototype design for modern processors. Wu said the new method opens up possibilities for optimal fan and dynamic processor voltage and frequency controls that could significantly reduce the power consumption of processors of all kinds, large or small. The projected power savings for major data centers – which can be comprised of hundreds of thousands of server processors (Google, for example, uses about 900,000 servers) – is about 50 percent, translating into a significant amount of savings in the nation’s electricity consumption. Wu predicts that on a smaller scale, the prototype can reduce the cooling cost of individual processors by as much as 20 percent. Wu has worked as an intern with Intel, IBM and Google. She was among recipients of the 2013 Bisgrove Early Career Award given by Science Foundation of Arizona and the 2011-2012 Intel Ph.D. Fellowship Award. Her research is being supported in part by Science Foundation Arizona through the Bisgrove award and by the National Science Foundation. Wu earned doctoral and master’s degrees in electric engineering from Princeton University and a bachelor’s of science degree in electrical and computer engineering from Cornell University.